Julie Meunier was 27 years old when she was diagnosed with breast cancer, in 2015. Like a lot of women in her case, she had to wear wigs, after losing her hair. But, like a lot of women once again, she didn’t like it. So she came up with a new idea. “The Franjynes are the sisters in arms.” This is how Julie qualifies her invention. But is it? After being cured with cancer, Julie had the idea of creating a large range of fringes, to fit with her bold head. With these synthetic hair, one accessory: a turban. This clever mix of both of the items created “Les Franjynes”, an alternative to the wigs. The system she developed fits totally with both bold heads or hair-restoring heads. The fringes exist in seven colours: golden-haired, platinum blond, chestnut brown, brown, auburn, ginger, white and pepper-and-salt but all of them and synthetic. 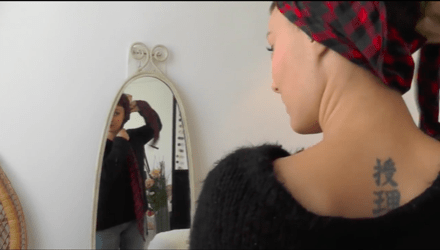 There are seven different models of turbans and seven models of headbands. 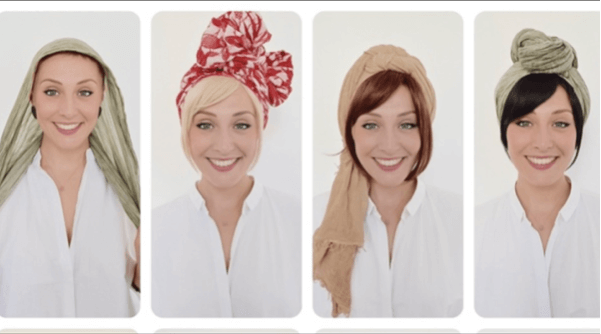 On her website, Julie video-listed all the ways to tie the turbans: “I created seven ways to tie the turbans. One for each day of the week. 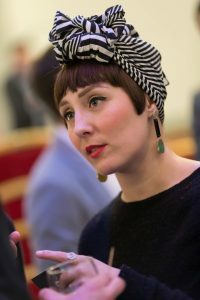 The cool thing with the turbans is that you feel like you’re just making a bun, like when you had hair.” Even now, Julie feels like she’s not done. After creating Les Franjynes, she started to look further. She adapted her concept for little girls: “Les Franjynettes”. An entire collection has been created and Julie is now even planning on creating “a collection of curly fringes” and a collection for men and little boys. The comfort and the fashion weren’t the only things that make the fringes a good alternative to the wigs, according to Julie. The fringes are less expensive than wigs. When wigs costs between €300 and €3,000 (it depends on the nature of the wigs), with the duration of six months, a fringe only costs €50 and the turban costs €45. Since the concept has been patented, Les Franjynes have been recognised as real capillary prostheses. And since the Social Security in France only covers capillary prostheses for 125 euros, it is totally covered.